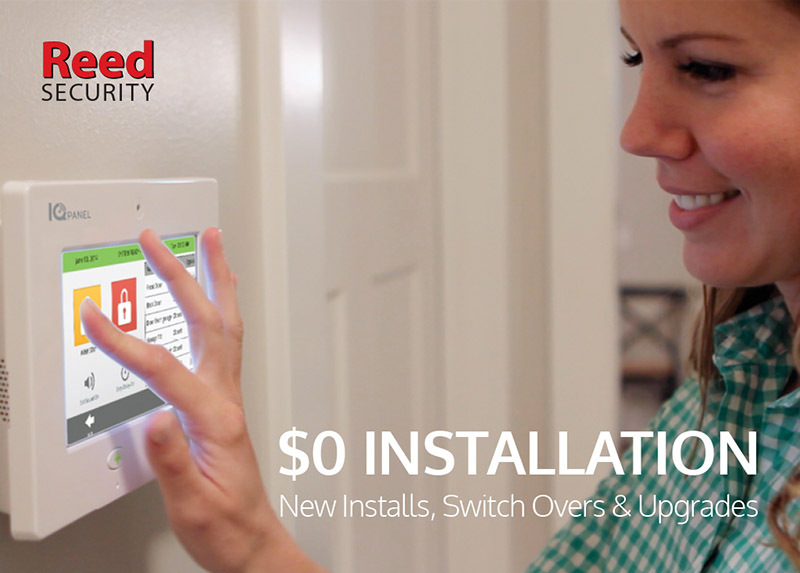 Access and control your entire home or small business from the Reed Security IQ Panel. Turn lights on or off, activate your security system, lock and unlock doors, or adjust your thermostat. When not in use, your panel turns into a customizable photo frame. When deactivated it takes photographs of the person who used it, and because it's built on android it stays updated with latest software. Its the smartest, easiest to use security panel you'll ever own. No matter what mobile device you own, you can access your system. Easy-to-use apps that intuitive give you round-the -clock access and control over your entire system. The best part is - no phone line is required! We do not provide pricing on our web site or over the phone. Instead we offer a No Obligation, Free Security Evaluation with a Reed Security Consultant. We carefully listen to your needs and wants and then we share options that will fit your budget. It only takes 30 minutes. *Some conditions apply to our $0 Installation promotion. *A new 48 month Purchase and Service agreement is required. *For Upgrades, additional charges will apply to your current monthly fee.